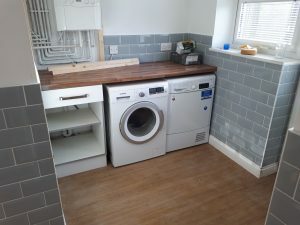 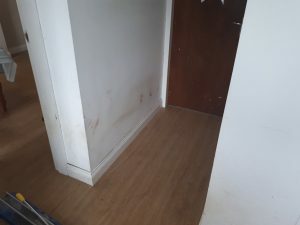 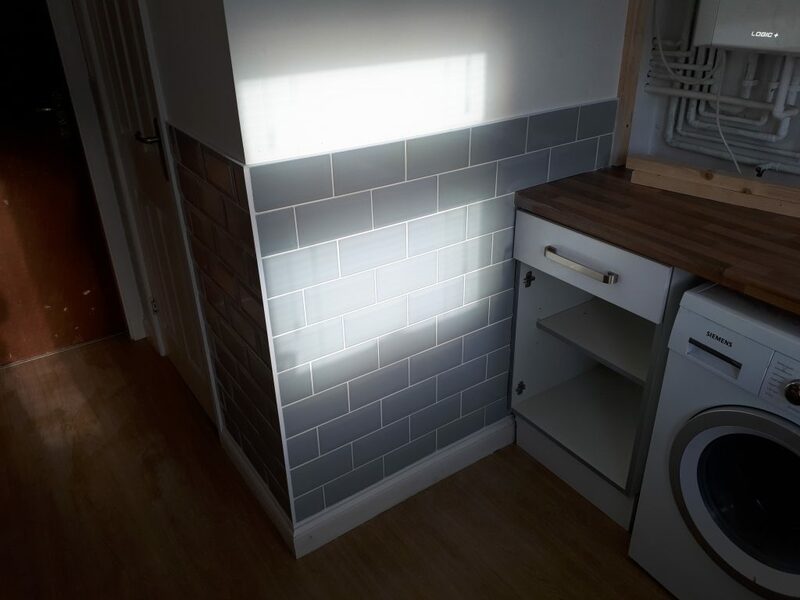 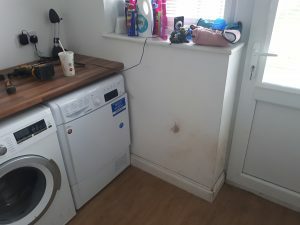 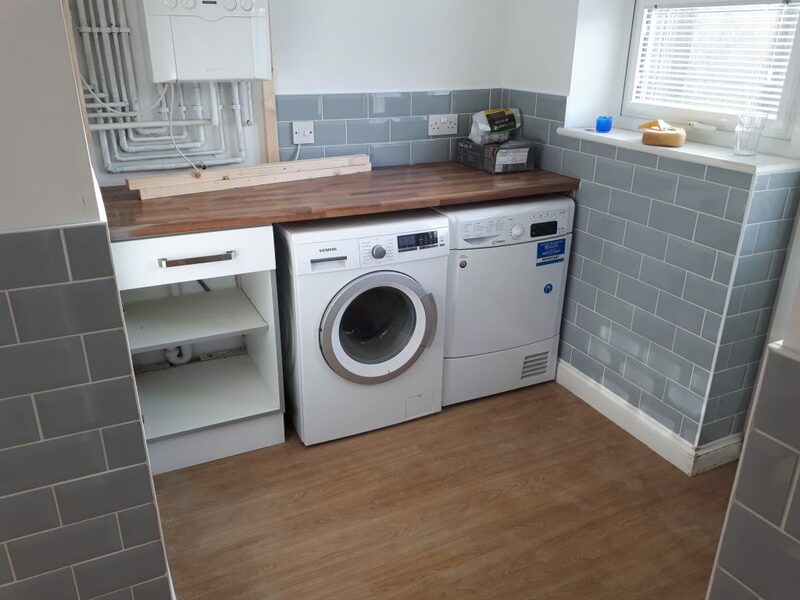 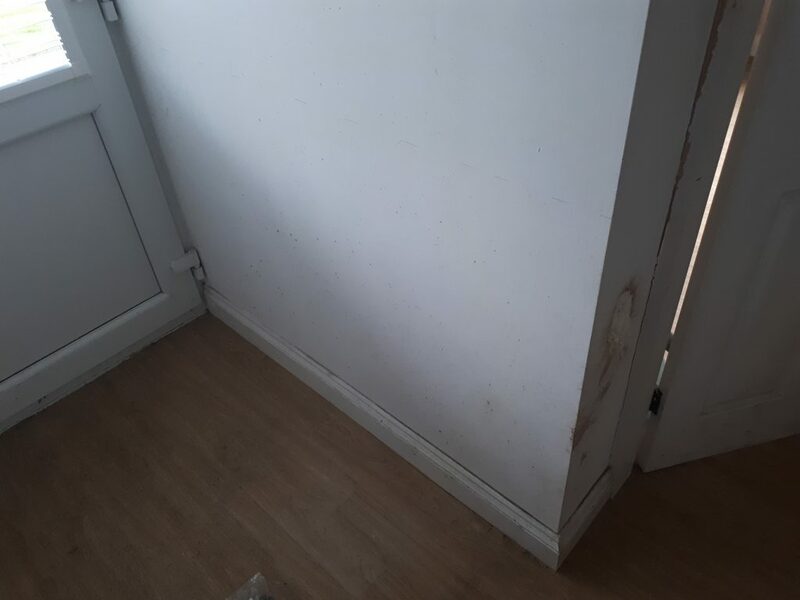 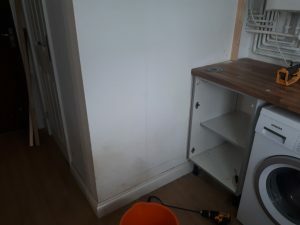 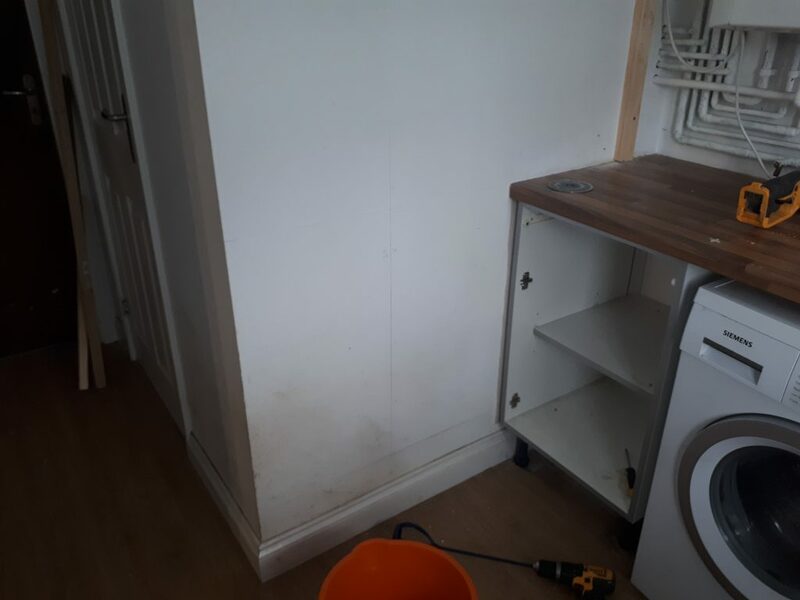 The customer wanted to make the utility room easier to keep clean as it was where the dog was brought in from outside. 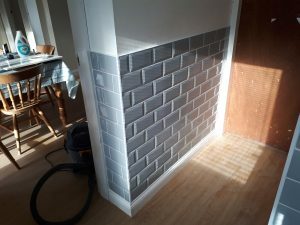 Tiling the walls would make cleaning the walls much easier. 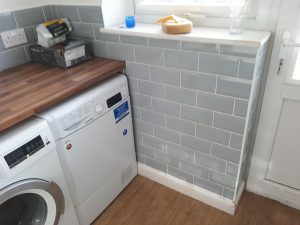 The customer selected and purchased a Grey subway tile and white grout. 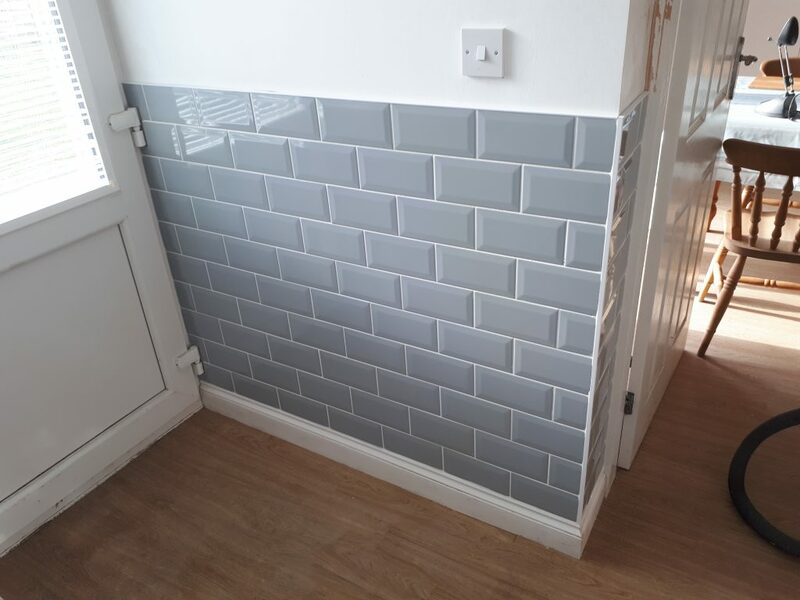 Part tiling of the wall made more sense being the most cost effective solution. 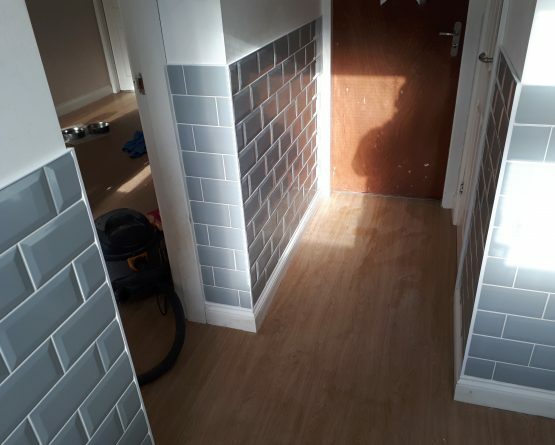 The end finish of the tiles looks great.